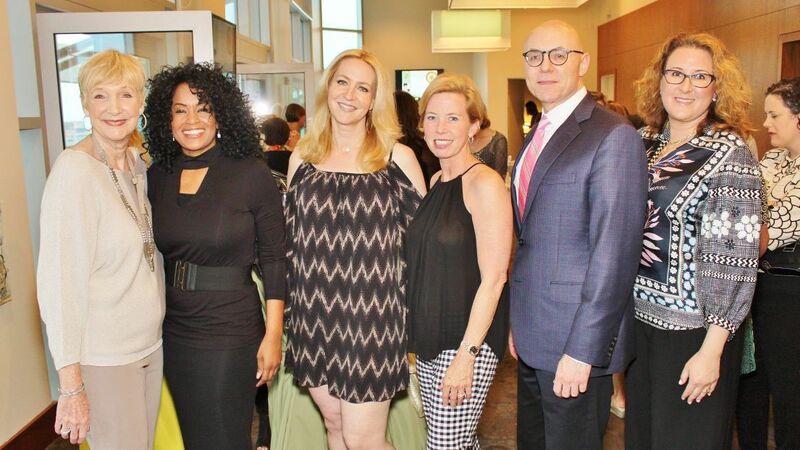 A special event celebrating the lives of Jewish women recently took place at the eloquent Sky Deck at Clayton on the Park. Guests enjoyed special kosher hors d’oeuvres from local Gourmet Saint Louis Catering Company ‘Two Men and A Tray'. Lion of Judah Society gave women who contribute $5,000 or more to the Jewish Federation of St. Louis a special 14k gold pin in the shape of a lion, which signifies their commitment to the worldwide Jewish community.The Jewish Journey of International human rights advocate Ayanna Nahmias described her remarkable journey from being a Muslim in Africa to becoming an Orthodox Jew in America. Born in Florida and raised in Nigeria and Tanzania, Ayanna S. Nahmias’ life has been an epic adventure segregated by oceans of time, continental divides and three Abrahamic religions. Her determination to transcend her past and achieve wholeness led Ayanna to publish The Nahmias Cipher Report to inform and give hope to people who themselves may be facing repressive situations. Ayanna now lives in Washington, D.C., with her biracial Jewish son and mother, a Baptist minister who fully supports her life choice to live as an Orthodox Jewish woman.